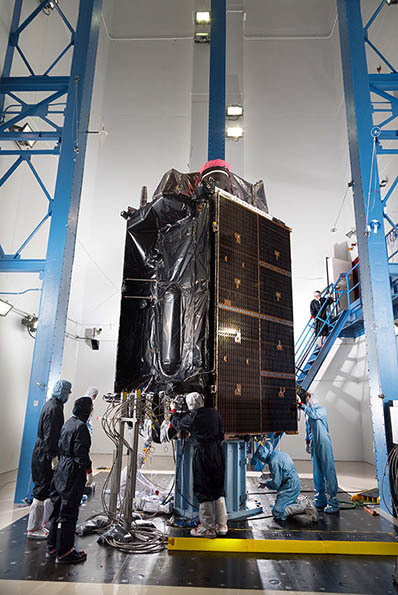 The current Harris payload for GPS III space vehicles (SVs) 1-10 includes a greater than three times reduction in range error, up to eight times increase in anti-jamming power, added signals – including one compatible with other GNSSs – and greater signal integrity. Harris’ GPS III SV11+ fully digital navigation payload will further improve on performance for the U.S. Air Force by providing more powerful signals, plus built-in flexibility to adapt to advances in GPS technology, as well as future changes in mission needs, according to the company. Beyond flexibility and reliability, the new Harris SV11+ navigation payload offers a smooth transition to the Air Force’s GPS Next Generation Operational Control System (OCX) ground control segment. The Harris payload for the first 10 GPS III satellites already has been verified for OCX compatibility, and this will allow Harris to seamlessly port the Harris SV11+ design, minimizing integration risks and associated costs. In related news, the Space and Missile Systems Center (AFSPC) announced last week that the United States Air Force had accepted delivery of the Global Positioning System Next Generation Operational Control System (GPS OCX) Launch and Checkout System (LCS) baseline from Raytheon Intelligence and Information Systems.